Formed in NYC in the mid-'70s by David Byrne, Chris Franz, Tina Weymouth, and ex-Modern Lover Jerry Harrison, Talking Heads soared out of their humble CBGB's beginnings to become Rock and Roll Hall of Famers and one of the most adventurous and influential bands ever. 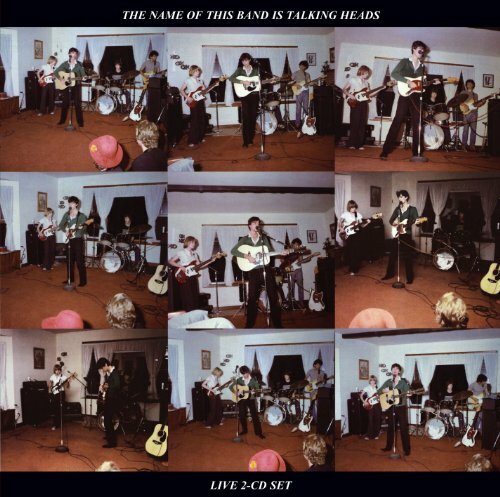 The onstage energy that propelled their rise to fame was documented in the 1982 double-LP set THE NAME OF THIS BAND IS TALKING HEADS, now available on CD for the first time. Following them through several early evolutions from '77-'81, this live gem - a 1982 Top 40 Billboard Album- is a riveting portrait of a stellar band on the rise. For its CD debut it's been expanded with over 30 minutes of rare and mostly previously unreleased bonus material.